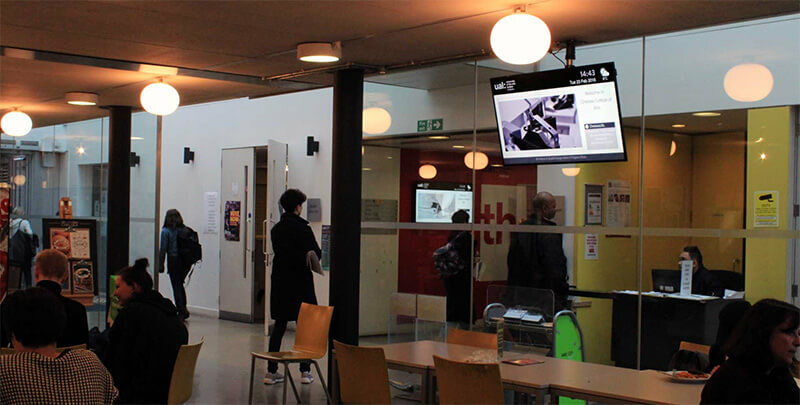 Chelsea College of Arts is one of London’s most prestigious art and design colleges. 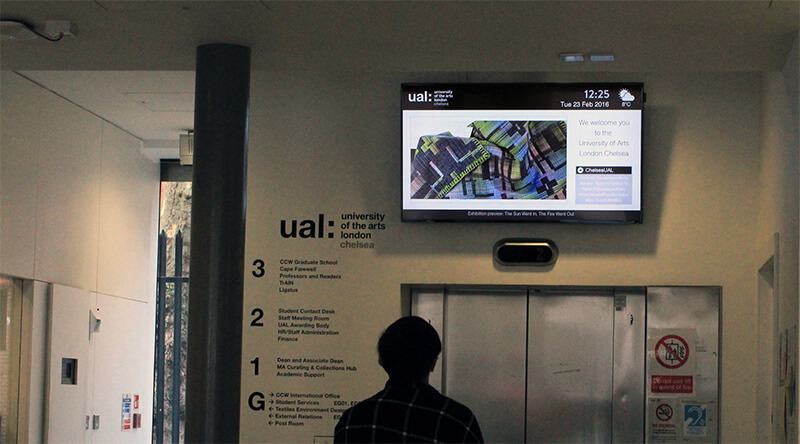 Offering courses in curating, fine art, graphic design communication, textile design and interior and spatial design. 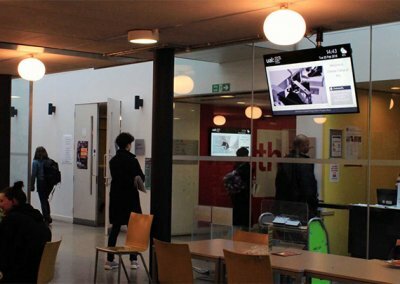 With just over 1400 students, the college’s small size and supportive atmosphere makes studying here feel more like being part of a community. 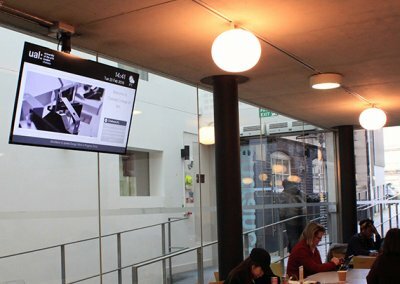 The Chelsea College of Arts needed an internal communications update to act as a professional and welcoming invitation to new visitors but also offer the opportunity for better communications with current students and staff whilst also offering the opportunity to share and broadcast creative projects undertaken throughout the year. 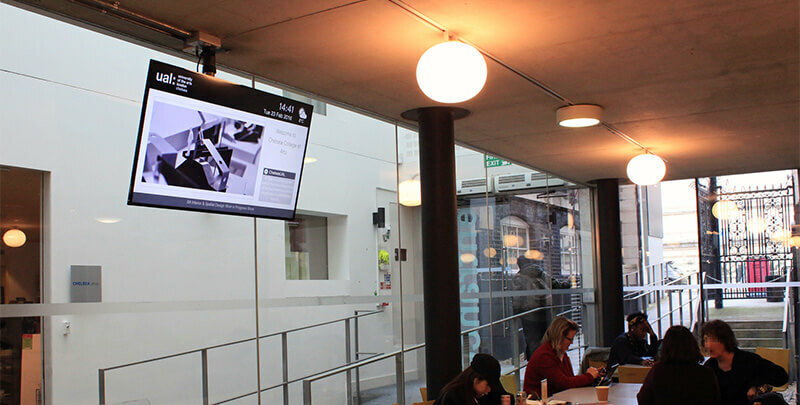 A Digital Signage strategy was needed to achieve this. “I found the process of upgrading to Eclipse Digital Media a really simple process and we were able to get up and running very swiftly and had an excellent training session to show the team how to get the most from the software. The screens look so much more professional now and we are able to schedule interesting media which is updated regularly without taking up too much of the teams time.”. 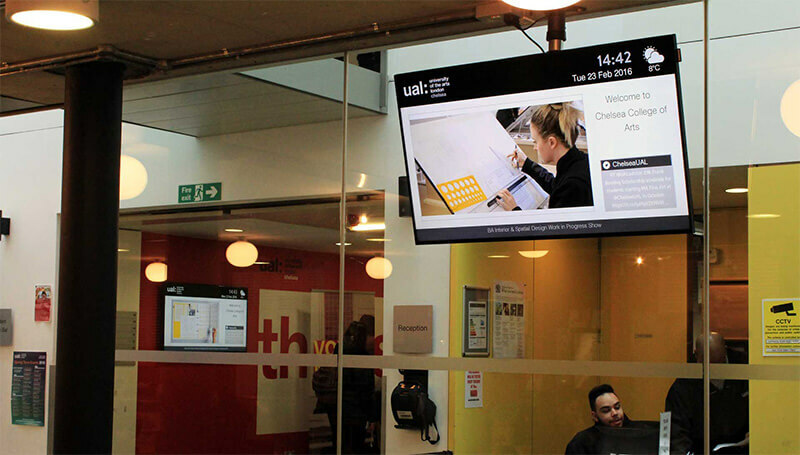 The screens are installed in a variety of environments including reception areas, hallways and the cafe and provide a professional, welcoming information point and also display students creative projects throughout the campus. 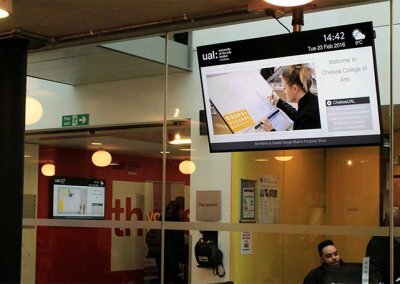 “The signage has definitely been successful… we have found that we have had excellent feedback from staff and students, students in particular enjoy being able to share their work on the screens. 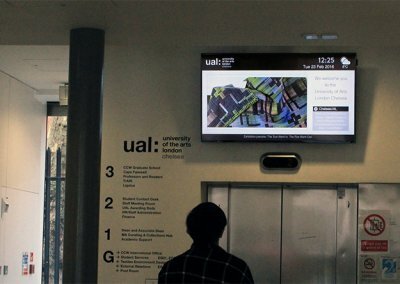 For example during our Summer Degree Shows, where graduating students show their work to the public, the screens were used to give a flavour of the work on offer and show moving image work and also to promote time specific performance pieces and provide further links to social media which encouraged engagement from visitors.